Today I want to talk about something that I am currently obsessed with. I love open shelves in the kitchen. 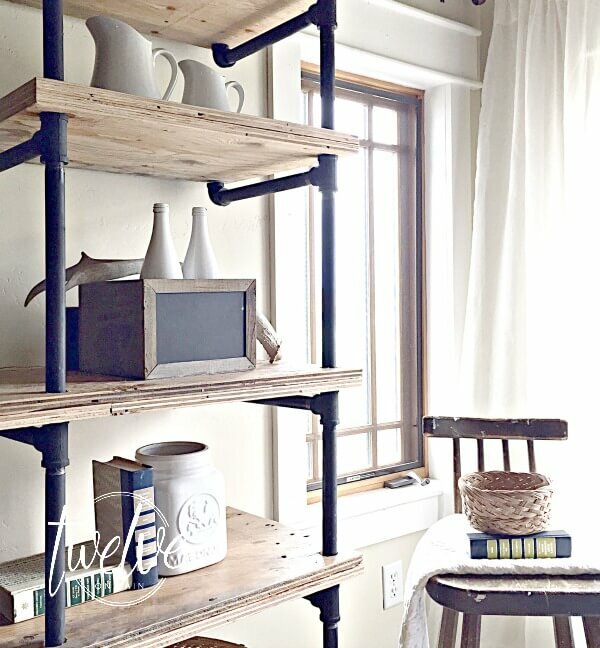 And this week, we are going to dive into ways to use those open shelves to your advantage. 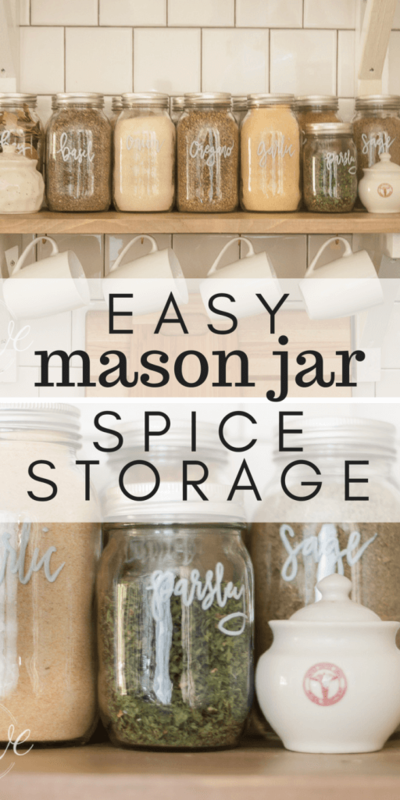 That is where my mason jar spice storage comes into play. Some may think that the open shelving concept in the kitchen is not functional, and a waste of space. That could not be more false. Its all it the way you use them. Yes if you set a few pretty things on them, you aren’t using them very effectively. So lets talk about spice storage. I buy my spices in bulk, since I have a big family, and I cook alot….I mean aaaaalllot! Buying those small bottles in the store just don’t last long around my home. The caveat of buying in bulk the spices usually come in bags, or plastic containers which just aren’t that cute:) Mine generally come in bags though. About a year ago, I decided to tear out some perfectly good cabinets on either side of my stove, since it just wasn’t working with the aesthetic. But, I wanted to make sure it was working functionally. And it has been great this whole year, and I havn’t missed those cabinets at all. Like not at all. I found I was able to store more on my shelves than I did in my cabinets. I recently wanted to rearrange things and decided it would be fun to display my spices right where they were most convenient. The only problem is they would not have looked too pretty in their plastic container or baggy sitting atop my shelves. So, I went with my trusty standby’s. My mason jars. I use these for drinking, bottling, trapping lady bugs, I mean, we use them for everything. So I gathered up a few of my mason jars and got to work. 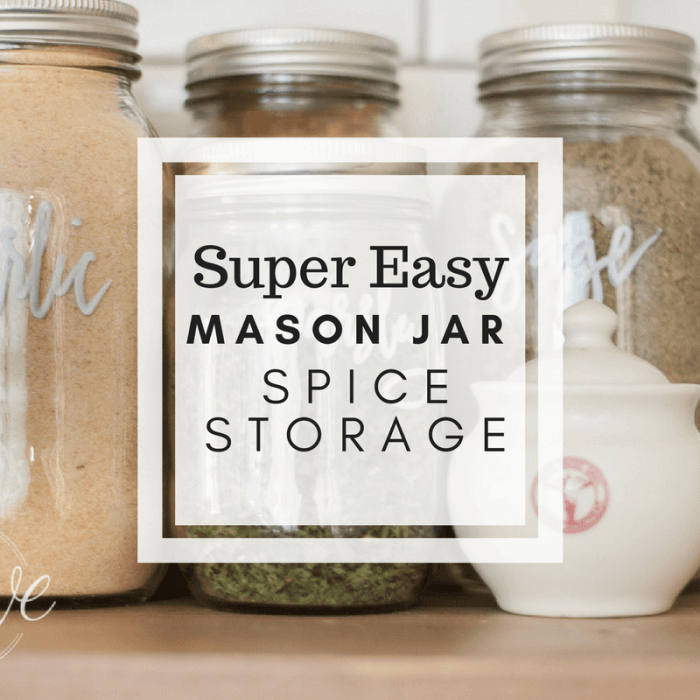 This is how simple it was to transform my spice storage with mason jars. This really could not be more simple. Fill your jars, label them, and you are done. 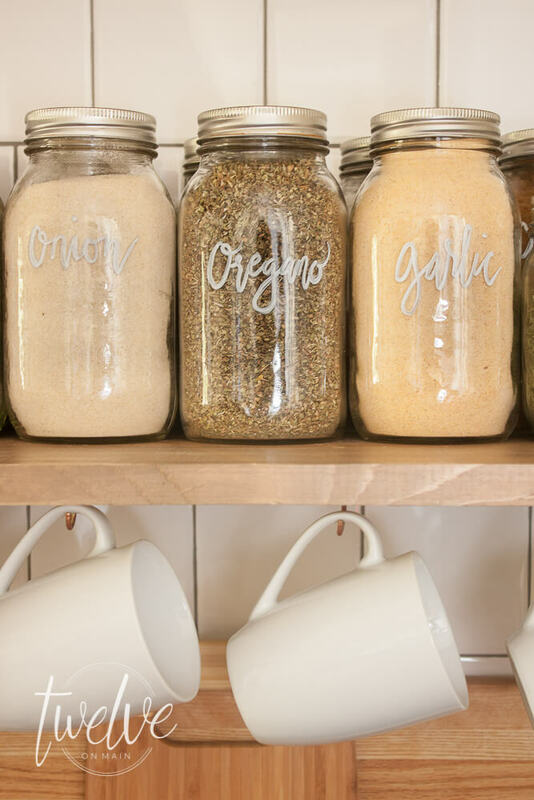 The great thing about this mason jar spice storage is that it looks really cool! Now, I decided I wanted to do some freehand script on mine with my white sharpie paint pen, which I think turned out really great. 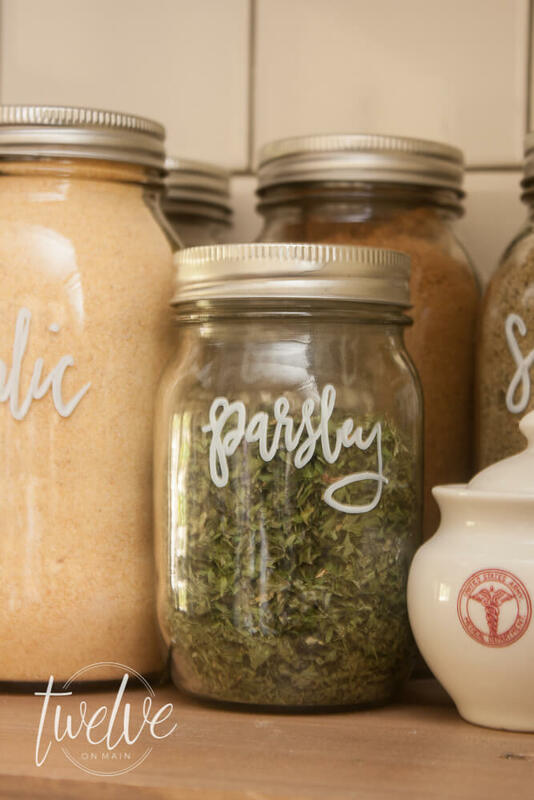 The wonderful thing about this paint pen, is that if I decide I no longer want to use my mason jars as spice storage, I can scrub off the handwriting with a scotchbrite pad and a little soap. So I don’t have to commit. And you will never believe it….my husband loves them. He commented on how good they looked! This is exciting, since he often thinks I am a little crazy with my choices. If its not stained wood and more stained wood, hes not a fan. 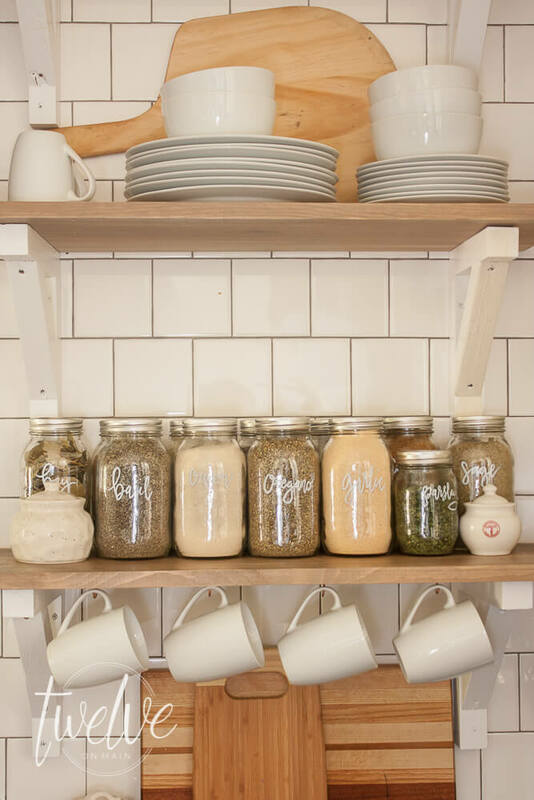 Doesnt the mason jar spice storage look awesome my open kitchen shelves. 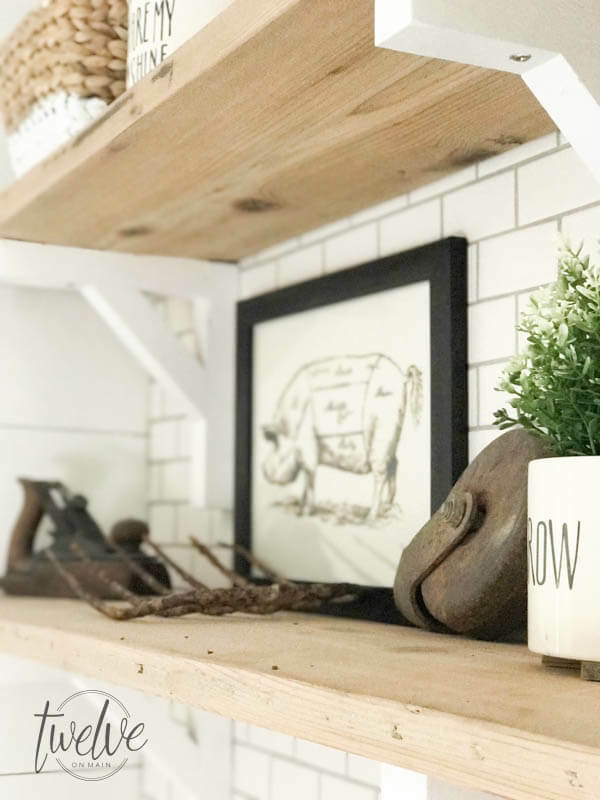 I am excited to be focusing on open shelving this week, and I hope you will stop by tomorrow to check out what else I have in store! 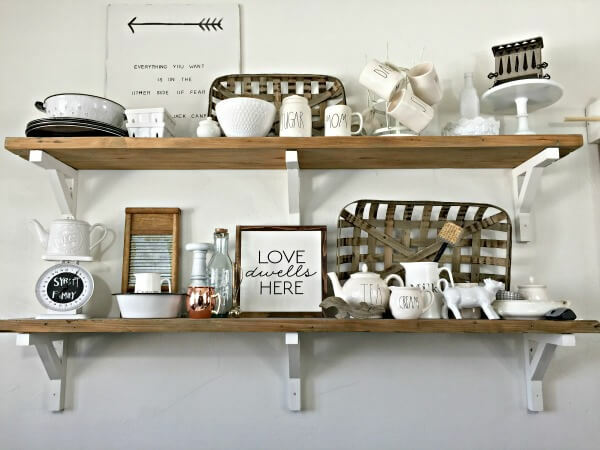 Its my mission to convince others of the value of a few open shelves in any space. Yes I sound crazy, no I am not. 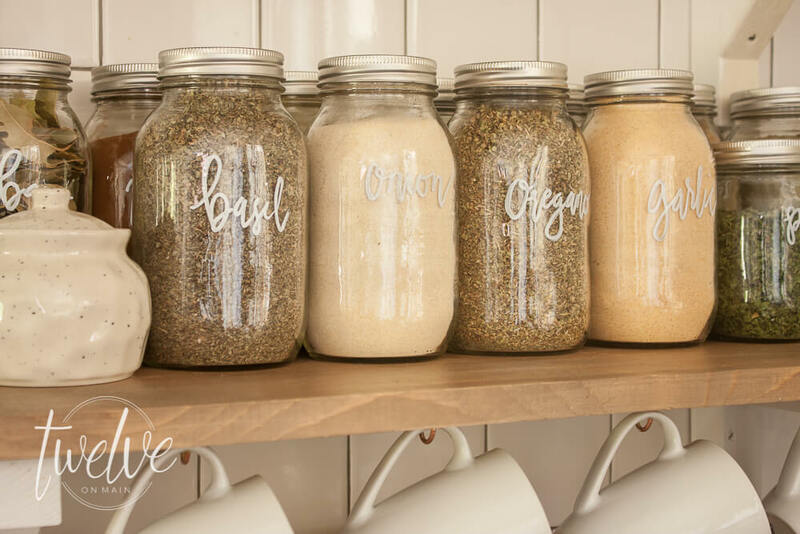 This mason jar spice storage is just one way to keep those open shelves functional without sacrificing style and beauty. 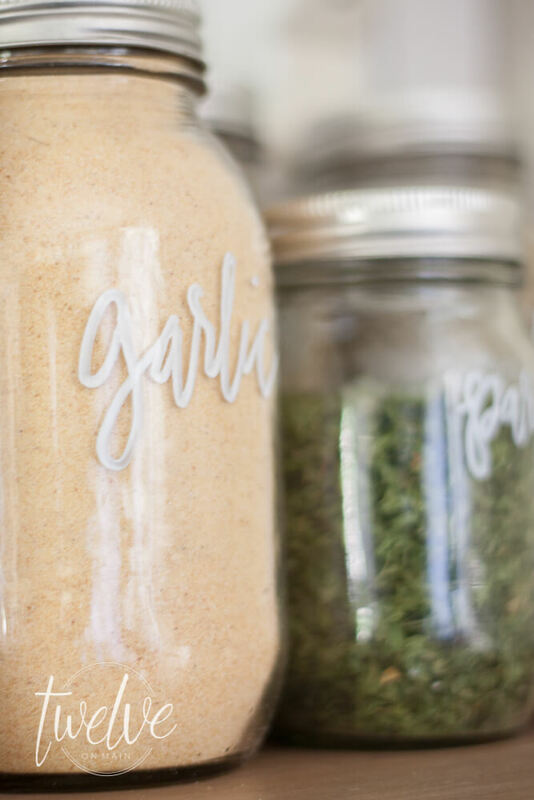 There is something quite beautiful about simple mason jars. Now, make sure you save this for later! I am so glad you are here! I love to hear from you, and I hope that you find something that inspires you. 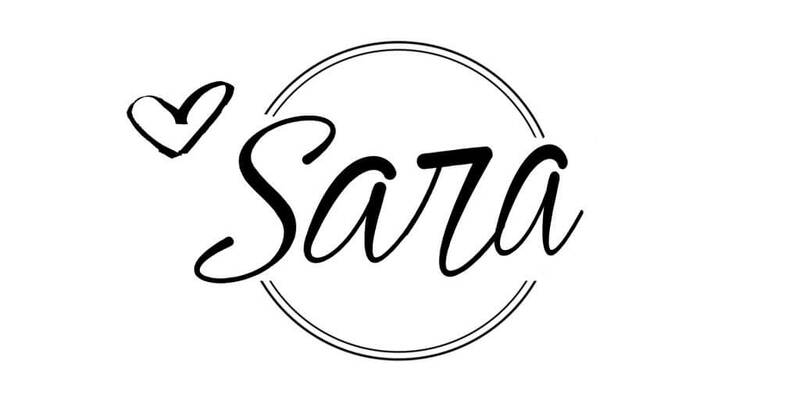 Love your mason jar spices Sara! The handwriting is so pretty, and everything looks so pretty on your new shelves. 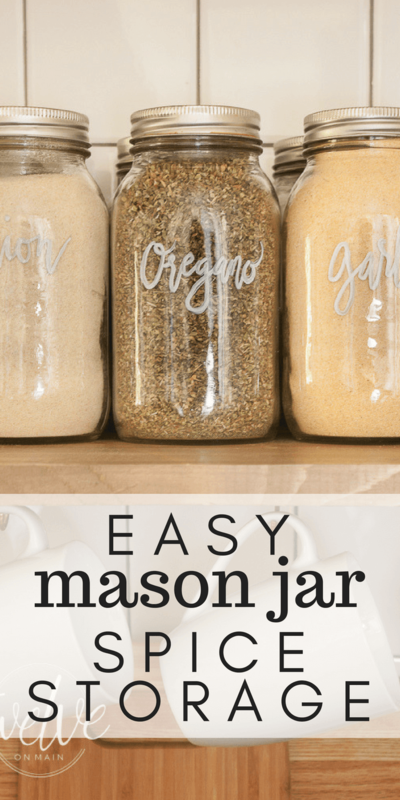 Love your Mason jars!!! I found some vintage jars and put my spices in them!!! I can’t do open shelves, but yours are amazing! 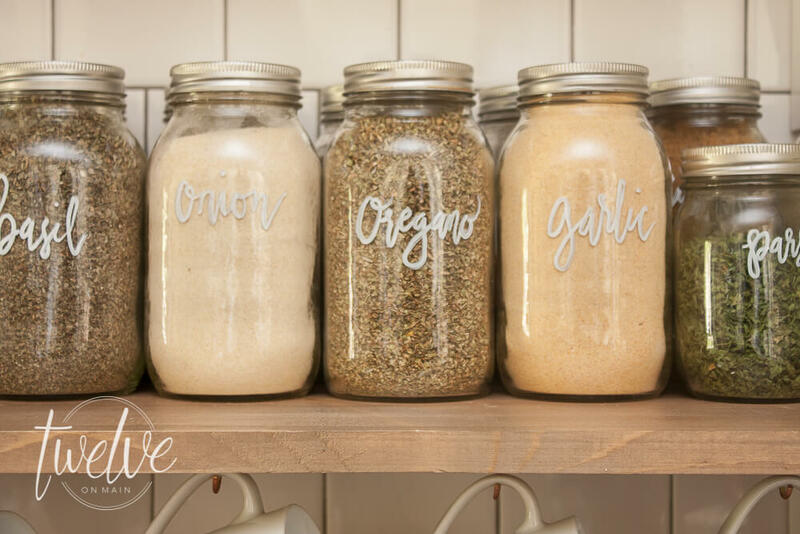 Love, love, love your jars!! !